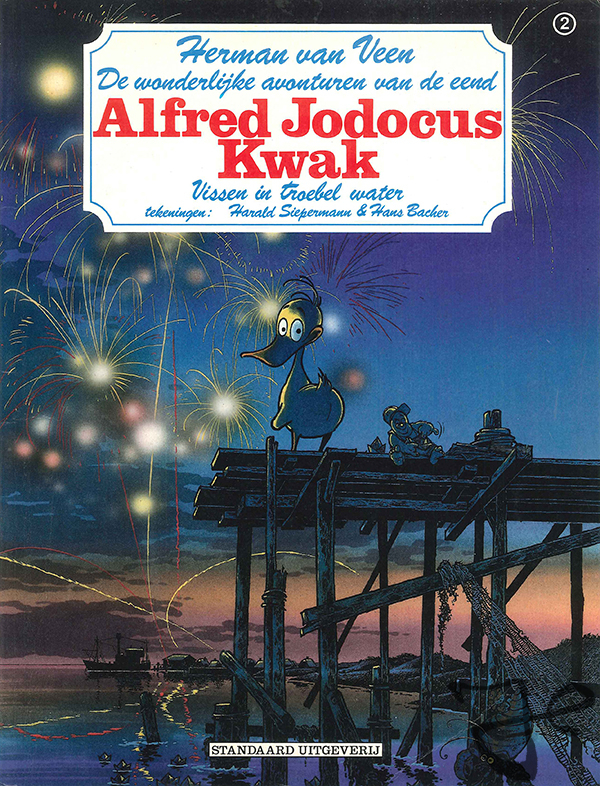 This month it’s been 30 years since the second comic book about the duck Alfred J. Kwak was released, called Vissen in Troebel Water [Fish and Chips]. In this adventure a school of herring are worried about the new fishers ship of Kapitein Stoppel that is about to leave the coast. This ship is very modern and able to capture a large amount of herring from the sea, which will immensely reduce the herring population. Alfred is concerned about the problems of the herring and wants to help them. 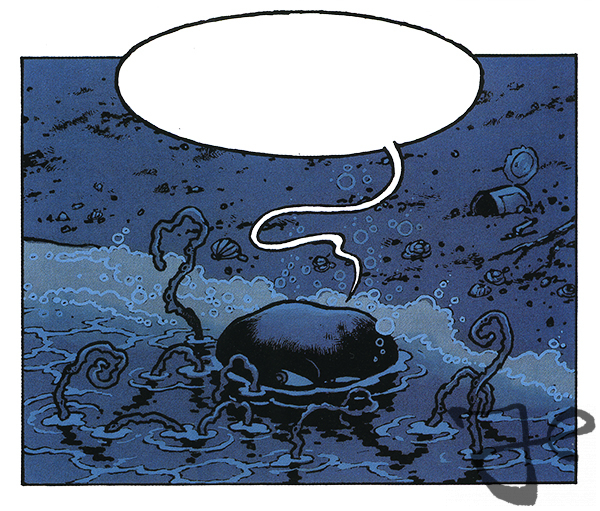 The comic book was designed by Harald Siepermann and Hans Bacher, and based on a theater play called Onder Water [Under Water] by Herman van Veen. Harald Siepermann designed all the characters. Henk de Mol returns again in this new adventure as Alfred’s friend. “When Herman handed me Onder Water, another play he had written about herrings, to rework it as Kwak’s 2nd adventure, Vissen in Troebel Water, I brought him back as Kwak’s permanent partner,” said Harald Siepermann. “I always found the size-difference of the two very rewarding visually.” It wasn’t until the television series that Henk de Mol became Alfred’s foster parent. 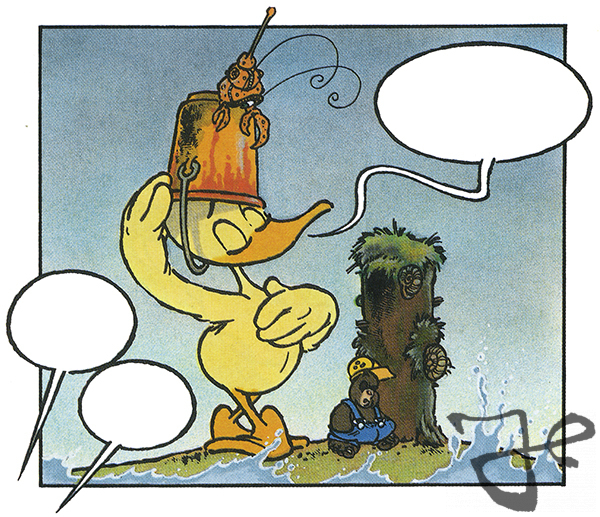 In addition to Henk de Mol, this comic book features many new characters that eventually would play a prominent role in the television series. There is the seaman Kapitein Stoppel and his wife Lisa, the capitalists mayor K. Rokodil and Professor Hannibal Nijlpaard, and the spy Lispel de Kwal. 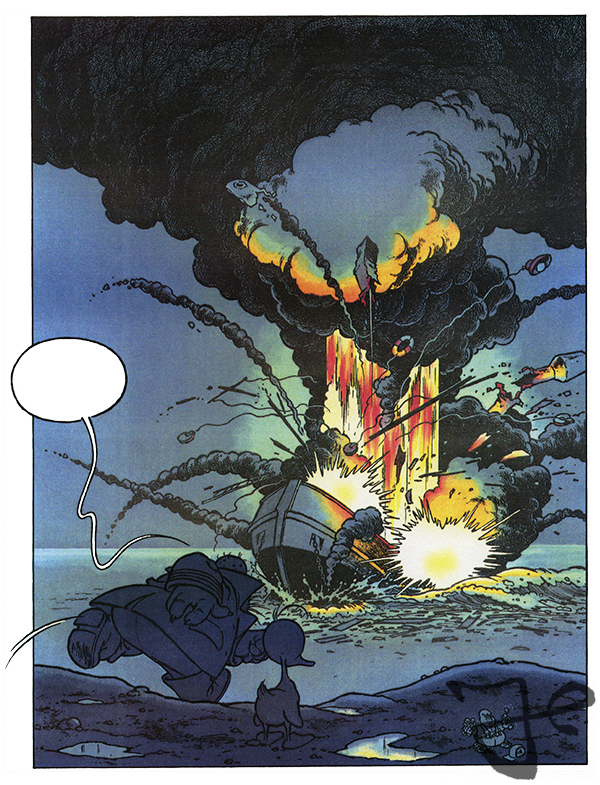 In addition to the wide range of characters, the comic book also looks good for the colors and scenery, done by the great Hans Bacher. The comic book was later be adapted for the television series in episode 14 Vissen in Troebel Water [Let’s Find The Sawfish] and 15 De Ontploffing [Alfred’s Perilous Voyage].